Volkswagen Golf Estate Running Costs, MPG, Economy, Reliability, Safety | What Car? 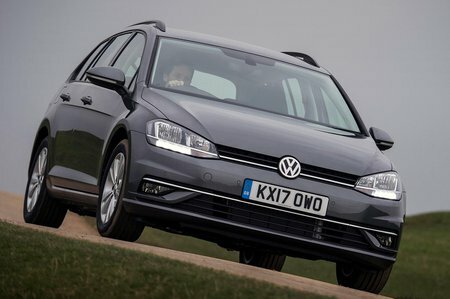 Volkswagen lowered the Golf Estate’s price in 2017, making it far more competitive against rivals such as the Ford Focus Estate, although you’ll still get more change from a comparably equipped Vauxhall Astra Sports Tourer or Skoda Octavia Estate. Don’t forget to factor in resale values, though; the Golf’s look particularly strong after three years, so if you're buying privately it could actually cost you less in the long run compared with cheaper alternatives. Insurance and servicing bills are no higher than the class average. What’s more, all versions have good fuel economy, with the 1.0 TSI 110 offering up to a claimed 58.9mpg and the 1.6 TDI 115 70.6mpg. The impressive official fuel economy figures also translate into low CO2 emissions, so the Golf is relatively cheap to run as a company car. Those strong resale values help keep leasing and PCP finance rates affordable, too. Entry-level S trim isn’t lavishly equipped but does come with trinkets including air conditioning, four electric windows, height-adjustable front seats, a front centre armrest, a DAB radio, Bluetooth and an 8.0in colour touchscreen. You have to put up with wheel trims instead of alloy wheels, though. SE looks rather more appealing. This adds 16in alloy wheels, front-seat lumbar adjustment, a rear-seat armrest, a ski hatch and a leather-trimmed steering wheel. And it adds other gadgets, such as Apple CarPlay, MirrorLink and Android Auto smartphone mirroring, automatic lights and wipers, front and rear parking sensors, power-folding door mirrors and adaptive cruise control. However, we’d suggest climbing the next rung up and going to SE Nav. It has everything that SE has but, as the name suggests, brings sat-nav as well as extra online features. And the additional cost should be mitigated by better resale values. GT is the first of the sportier offerings, adding 17in alloy wheels, sports suspension, sports seats and a performance monitor that includes a lap timer and G-meter. Other additions are privacy glass and interior ambient lighting. The hotter GTD, GTD Blueline and R models all feature LED headlights, heated front seats, dual-zone climate control and a 12.3in digital screen in place of analogue instruments; this displays lots of useful information, including full-screen sat-nav maps. You also get sportier styling touches that hint at these models’ extra performance. The off-road Alltrack model gets four-wheel drive as standard, plus a rugged exterior look, raised suspension, 17in alloy wheels and part-Alcantara sports seats. You don’t need to add many options, but it's worth forking out for parking sensors on S trim and metallic paint on all models. 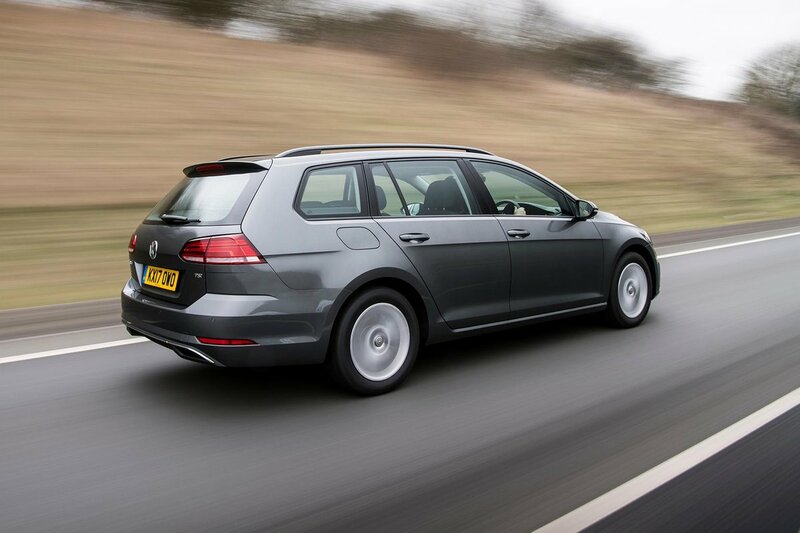 Unfortunately, the Golf doesn’t stand out for its reliability, with this latest model ranking mid-table in the family car class in our latest reliability survey. Volkswagen as a brand, meanwhile, didn’t do particularly well either, placing 22nd out of 32 manufacturers. Like all VWs, the Golf comes with a three-year/60,000-mile warranty and one year’s roadside assistance. This is comparable to the cover provided by most rivals, but falls short of the five-year warranties that Hyundai and Toyota offer, let alone the seven-year cover provided by Kia. You can pay extra for an extended warranty that will cover your car for up to five years or 90,000 miles. Seven airbags are fitted as standard to all versions, including full-length curtain airbags and a driver’s knee airbag. 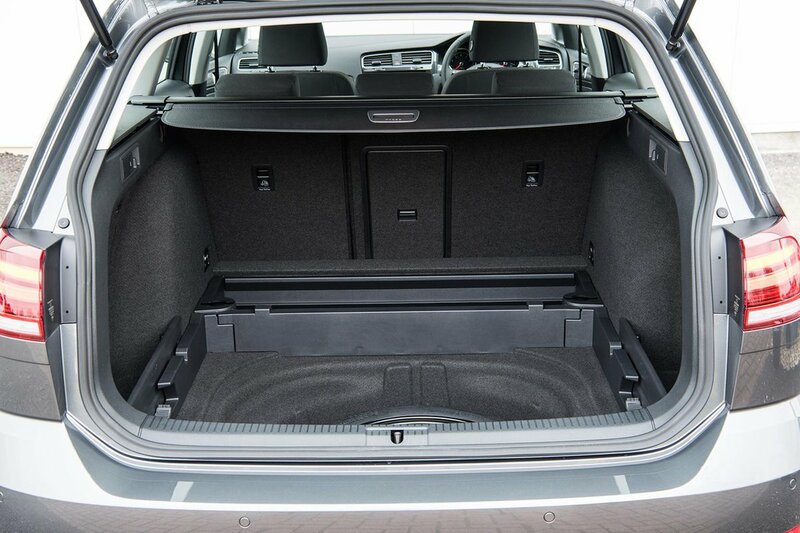 Rear side airbags are available as an option on all five-door models and are worth considering if you regularly carry people in the back. SE models and above also get automatic emergency braking, which at speeds below 19mph automatically applies the brakes if it detects an impending collision with a car or pedestrian. These features all helped the Golf score well in its Euro NCAP crash test in 2012. It was awarded the maximum five-star rating overall, along with scores of 94% for adult occupant protection, 89% for child occupant protection and 65% for pedestrian protection. You need to go for at least SE trim to get an alarm as standard, although security experts Thatcham Research awarded the Golf five out of five for guarding against being stolen and four out of five for resisting being broken into.